BELLEVUE, Wash. — A succession of spinouts supported by Microsoft co-founder Bill Gates has taken an unorthodox technology known as metamaterials to high-flying realms ranging from satellite communications to drone-sized radar systems — but the latest metamaterials venture to come out of stealth is aiming for a more down-to-earth frontier: the car that will someday be driving you. Like Kymeta, Echodyne, Evolv and Pivotal Commware, Lumotive takes advantage of electronic circuits that are able to shift the focus and path of electromagnetic waves without moving parts. Unlike those other Seattle-area companies, Lumotive is using those metamaterials to steer laser light instead of radio waves. 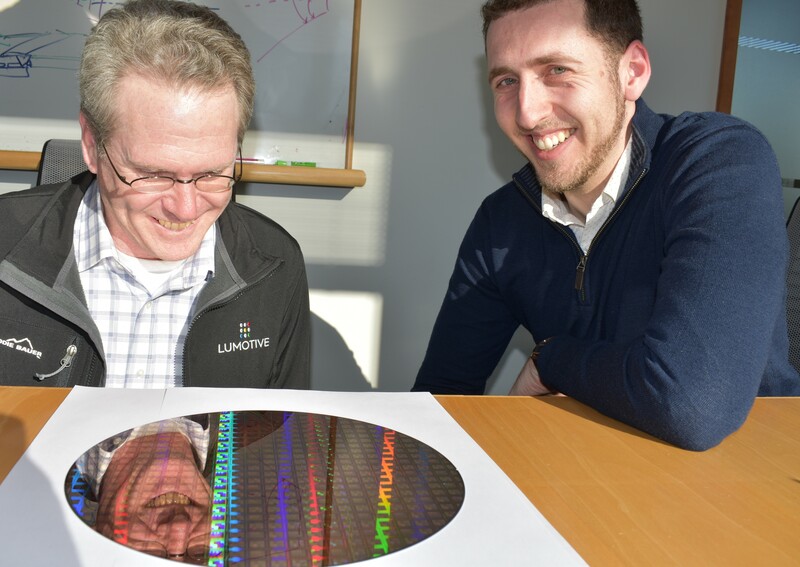 “It’s always been kind of a Holy Grail of metamaterials to figure out how you can do that at optical wavelengths,” Lumotive’s co-founder and chief technology officer, Gleb Akselrod, told GeekWire this week. This entry was posted in GeekWire and tagged Lidar, Lumotive, Metamaterials, Self-Driving Cars, Technology. Bookmark the permalink.